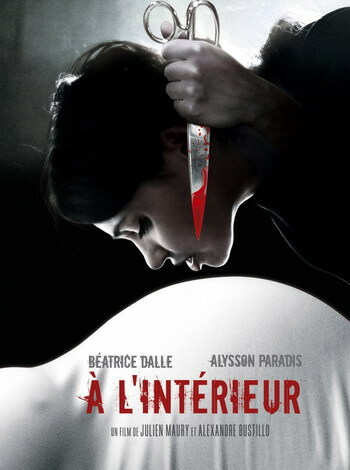 John’s Horror Corner: Inside (2007), an extreme French film delivering an ultra-gory home birth. 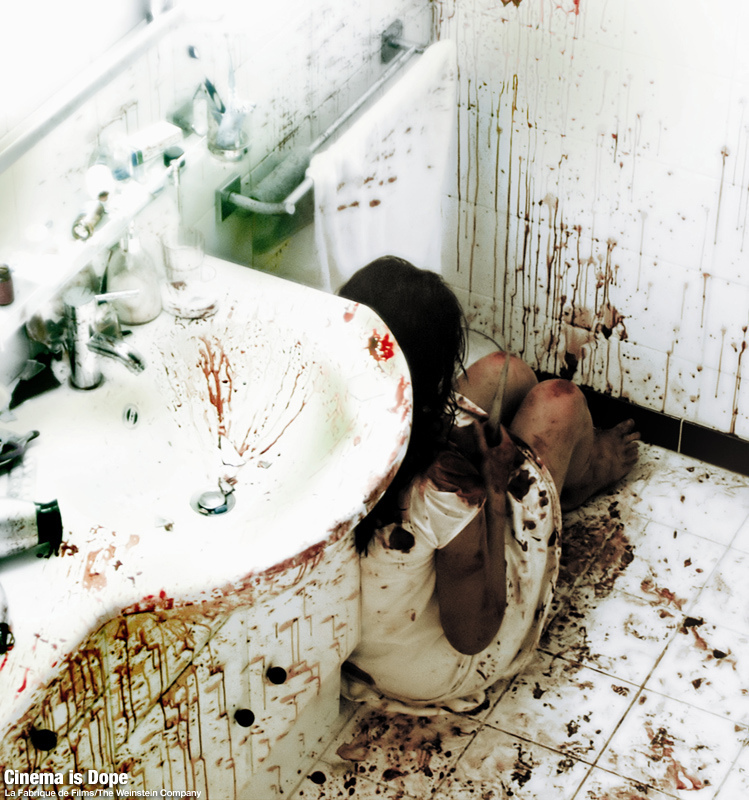 MY CALL: More bloody fun than an at-home scissors Cesarean, this film will fill your screen with brutal gore like a sprinkler system in Hell, and the gore is matched by the claustrophobic sense of desperation. This film is a real winner for lovers of extreme violence. MOVIES LIKE Inside (akaÀ l’intérieur): Looking for more extreme French cinema? Go for Martyrs (2008) and High Tension (2003) for sure! Maybe even try Frontiers (2007), but it’s not as good as the other two. Shortly after the death of her husband, Sarah wishes to spend the holidays alone away from her family while awaiting the birth of her first child. But when a strange visitor arrives at her home, alone is the last thing Sarah wishes she was. She was probably texting while driving. This film begins at a somewhat slow but interesting pace. But once the gore comes into play the effects team, sound editors and actors have their work cut out for them as things turn into a messy shockfest full of impalements accompanied by the most visceral of sounds. Béatrice Dalle does a fantastic job as the gap-toothed nameless menace who obsessively wants Sarah’s child for her own while Alysson Paradis (as Sarah) is convincingly tortured and terrified. They each bring their own brand of desperation and, when they clash, you may want to turn away. Directed by at-the-time newcomers Alexandre Bustillo and Julien Maury (Livid, Among the Living, The ABCs of Death 2), Inside brings all manner of shocking imagery from car crash victims to nightmare birth sequences. The brutality knows no end as blood spews from stabs to the throat, face, hand, knee and even crotch. At one point someone’s face is blown off in about as fantastic a manner as I’ve seen. But the hits just keep on coming and the shocks continue as kitchen appliance assaults, make-shift flamethrowers, an improvised domestic bayonet and some alternative uses for scissors all contribute to the most blood-splattered movie sets I’ve seen in ages. This film may have started out slow, but with each palpable laceration our pregnant heroine becomes ever more speckled and smeared red with the heightening mania. Moving to the finale, we shift from gory and shocking to absolute bonkers neo-natal insanity complete with an at-home Cesarean birthing scene with blood cascading down the stairs. She probably should have opted for anesthesia, huh? This is an absolute win for lovers of extreme violence and intense gore. So put on your favorite gore bib and dig in! Very. Yup………VERY! I live for these films.